Gastroenteritis is a fancy medical term for the quite common and contagious “stomach flu”. Vomiting is usually one of the first presenting symptoms with others following shortly afterward including nausea, decreased energy level, stomach ache, fever, and/or diarrhea. Children tend to vomit more than adults and generally take longer to recover. With most viruses that cause gastroenteritis, as the infection moves through the stomach and intestines, vomiting usually stops after about 24 hours. However, if you advance fluids too quickly or children eat more solids than they are ready for they may start vomiting all over again. If this happens, start back where you started (sips of clear liquids) and go very slow in advancing their diet. Avoid foods that are fried/greasy, spicy, or red gravies as these can be harsh on the stomach. If vomiting is persisting or increasing after 24 hours, then you should notify the office. Prescription nor over the counter medication is generally necessary to treat the vomiting. Diarrhea can usually last for several days. Anti-diarrheal medications like Imodium are not recommended in children. 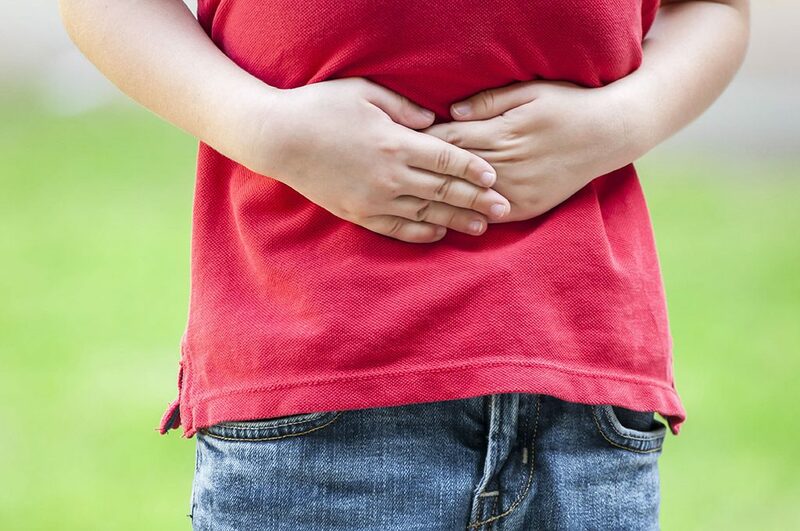 If the diarrhea or abdominal pain is severe, there is any blood or mucus in your child’s bowel movements, or your child shows signs of dehydration this warrants immediate attention.